Now I’m not looking to fall out with my friend Bob but let’s look at the two consultations currently under way. If you look in this document you will see not a word about any impact upon Glasgow local services. So hats off to our Constituency MSP, Patricia Ferguson, who discovered via questions at an EGIP briefing that officials are looking at the upper level platform currently used by the Maryhill line. Let’s be clear there is now a real threat that the Maryhill service will not go direct to Queen Street via Ashfield in order to free up space on the upper platform for the additional Edinburgh Service to be delivered via the £1 Billion EGIP scheme. Now I don’t know how making passengers from Gilshochill, Maryhill and Kelvindale travel to Springburn, change and then wait for another connecting train is an “enhanced service”. I’m not even sure it could be delivered which is why Transport Officials are looking at diverting the service back through Partick. But what I do know is that any Glasgow MSP worth their salt should be honest enough to advise residents in Maryhill and Kelvindale that they are going to lose the service to the upper platform in Queen Street. Problem number one for the SNP Government is that their consultation is consulting on closures. Problem number two is the hit list (sorry Factsheet) which contains the names of fourteen stations. The fourteen stations don’t actually appear in the Transport Scotland consultation. There is a factsheet and that is where people have got this information from.” He added: “People have asked us can we list these stations. Somebody has responded to the consultation and has asked for the stations within an area and that’s why these stations have appeared on this sheet. But there aren’t just 14 stations within a mile of another in Scotland. In fact there are 60 and the Transport Minister should know this as he provided that detail in a written response to Labour MSP John Pentland. So let’s be clear there is now a direct threat to the northern line from both the Edinburgh Glasgow Improvement Programme and from the Rail2014 Consultation. Constituents need to respond to both. 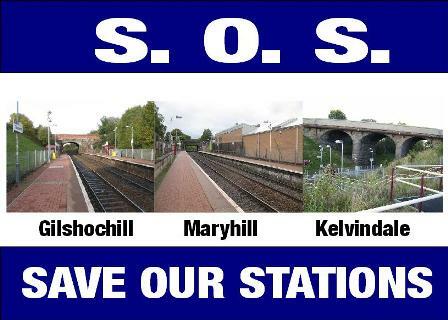 Save Our Stations – Save Our Line. I was delighted at this morning’s Executive Committee to support the approval of the Maryhill Town Centre Action Plan. This marks yet another step in Maryhill’s regeneration and follows on the success in securing over £20 million in Council investment for Maryhill over recent years. A visible first step in the plan is the agreement to proceed with the design works for the Gairbraid Avenue Public Realm project. As residents know, Maryhill Burgh Halls benefited from an allocation of £1.8m from the Government’s Town Centre Regeneration Fund. To complement that investment Glasgow City Council allocated £500,000 towards production of a Maryhill Town Centre Action Plan and delivery of a public realm project to boost the area’s attractiveness for the existing community and for potential new residents, visitors and investors. In April 2010 Development and Regeneration Services initiated preparation of the Maryhill Town Centre Action Plan. Community and Stakeholder engagement took place over a period of approximately a year, with suggestions for further consultation emerging at each step. 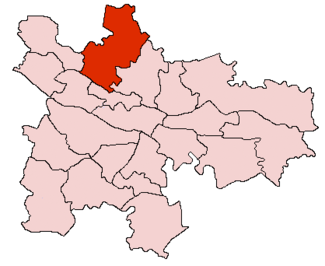 Residents made their view clear that the boundary for the TCAP should not be confined to the area currently defined as Town Centre in City Plan 2 but should be extended to stretch from Maryhill Railway Station in the north to the junction of Maryhill Road and Queen Margaret Drive in the south. The result of consultation with residents, local business and other key groups is the Maryhill Town Centre Action Plan which was approved today an offers a real community led vision for Maryhill’s future. The first step is Gairbraid Avenue and this work will be carried out by Rankin Fraser (co-designer of the award-winning Phoenix Flowers at Garscube Road). Having consulted with the community via Maryhill Burgh Halls Trust and the planning application process, the planning consent has been granted and construction should start on site early in 2012 with a six month contract. The SNP Government says it wants a passenger-centric rail service so why are Kelvindale, Gilshochill and Maryhill stations now threatened with closure and the very existence of the entire line under threat? In the Transport Scotland document ‘Rail 2014 – Public Consultation’, launched by SNP Ministers Alex Neil and Keith Brown, Glasgow is singled out as having 11 stations located less than one mile from another rail station offering similar services. The lease costs associated with these 11 stations total £208,000. 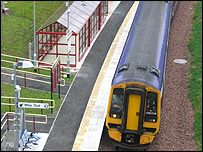 The alternatives suggested for Gilshochill and Maryhill stations therefore are that passengers go to Summerston and that Kelvindale passengers go to Anniesland. This of course completely ignores the location of these communities, the geography of the area and the added costs of getting to these alternative stations. 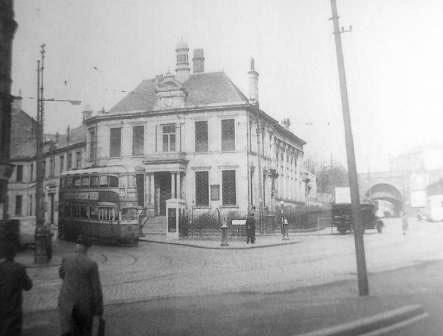 Why take a bus from Cadder or Maryhill to Summerston, or Kelvindale to Anniesland in order to get the train into Queen Street? The result would be that passenger numbers would significantly drop on the line; the threat to close Ashfield on the same line underlines the threat. At the same time, as our constituency MSP, Patricia Ferguson, has highlighted, the Edinburgh/Glasgow Improvement Programme threatens to end any remaining Queen Street, Summerston, Anniesland service by terminating the existing northern service short of Queen Street and forcing passengers to travel to the city centre via the Anniesland, Partick route instead. Our Community Councils will be campaigning against these threats as will Maryhill Kelvin Councillors and our constituency MSP. You can also help by letting friends and neighbours know about the threat and encourage them to support the campaign to save our stations. Equal Marriage – let’s be on the right side of history. One of the campaigns I’ve been supporting over the last year has been the campaign for equal marriage. It’s one where emotions run high and too often politicians, especially in an upcoming election year, run shy. I’m therefore proud that Glasgow City Council unanimously agreed at our full meeting to support my resolution stating that our Council is backing the equal marriage campaign. The consultation period is over and the SNP Government will now consider their response. However there is speculation that they may seek to do a deal that would accept the campaign to prevent religious groups from carrying out equal marriage ceremonies on any religious premises even though this would prevent the Quakers, Liberal Judaism, Metropolitan Community Church and other s who wish to perform these celebrations in their own places of worship. Scottish Liberal Democrats want a tolerant and fair society and equal marriage is a key part of that. Like her I hope that our government will be on the right side of history. I’ve had quite a few enquiries about the mix of the social housing I blogged about when we broke ground on the Valley site. Most people have been interested in whether we would finally see some new family sized properties being built and I’m delighted that both the Maryhill Housing Association and Glasgow Housing Association elements have done just that. The development was originally split between 53 units for GHA reprovisioning and 53 for Maryhill HA all for social rent. For the Maryhill HA units the following housing mix was approved. There are 26 larger houses (4, 5 or 6 apartments). Last Thursday saw some good news on finally tackling Glasgow’s poor record on waste management which has seen our city bottom of the league in terms of recycling performance. Last year, Glasgow City Council achieved a 24% recycling rate. With the introduction of managed weekly collection, improvement in Household Recycling Centres and collection of additional recyclate material, the recycling rate is expected to reach 32%. However the Viridor solution will now complement Glasgow City Council’s existing recycling and recovery activities and raise the household recycling rate to 50%. 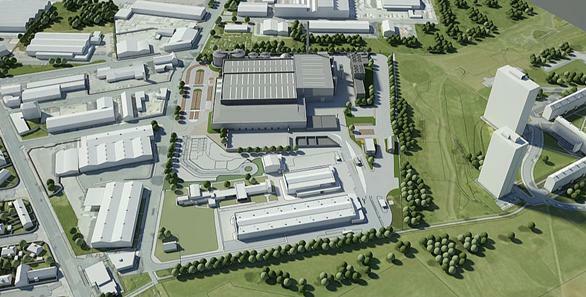 The new facility which we approved will be created in the Polmadie area and will create 250 new jobs and save the council £10m a year. It will combine a Smart Material Recycling Facility with an anaerobic digestion combined heat and power plant to deliver heat and power for the local community. Full details of the proposal can be found here. As winter starts to bite I received the following message from Land and Environmental Services this afternoon and wanted to share the update and advice with residents. From Land & Environmental Services. The first significant snowfall of this winter has fallen overnight across Glasgow and many other parts of Scotland. Our gritting fleet worked continuously throughout the night treating our priority carriageway routes. This morning, we had over 350 personnel involved in snow clearing and gritting of our priority and secondary carriageway and footway routes. Resources are also deployed on refilling grit bins across the City. 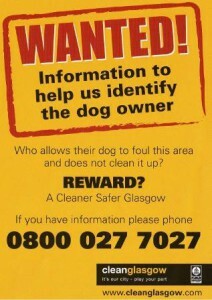 GHA are also assisting in this operation. The latest weather forecast predicts further frequent wintry showers throughout today and until the early hours of tomorrow morning. An accumulation of snow of up to 5cm is possible. The next few days are likely to see blustery showers of sleet and rain with temperatures dipping below zero overnight. Other services have also been adversely affected by the weather, notably our refuse collection services which are likely to be disrupted during the next 48 hours. At the present time, all efforts are being made to uplift refuse from each area of the city as normal, but this will be subject to prevailing conditions throughout the day. Residents, who have presented their wheeled bins to the kerbside of their property, should leave wheeled bins at the kerbside as efforts will be made by the service to uplift these collections as soon as possible. The aim is to maintain normal scheduled collections in each neighbourhood of the city, however, this will be subject to local conditions and collections may be subject to delays in uplift. Should any of your constituents have any particular concerns during this period, the most effective way of reporting these is via our 24hr fault reporting service on 0800 37 36 35. December’s Area Committee was able to bring a little early Christmas cheer by approving funding for all of the following projects. I was particularly delighted to support the new Netball team and the project by the Scottish Ensemble to introduce musical instruments to pre school children. Creative Choices: To provide a Music pilot programme (6 months) in Maryhill Hub. Community Central Hall, 304 Maryhill Road, Glasgow. To obtain architectural designs to inform a consultation exercise with management, staff, service users and SCSWIS (formerly known as the Care Commission) to improve facilities for the Day Care Centre to meet the best standards of quality care for the elderly users. Kelvinside Allotment Association – Allotment site: Julian Avenue / Mirrilees Dr.
Kelvinside Allotments Association provides leisure gardening resources for local residents to improve health and well-being and community cohesion. Their allotments sites are based at Kirklee/Julian Avenue /Mirrilees Drive, in the Maryhill/Kelvin ward. The organisation is requesting funding to provide two raised beds to increase the availability of accessible allotment plots which could also be utilised by disabled residents. Workshops will be carried out in each nursery school in January and February and will culminate in a final performance in the arts venue The Bridge. The workshops also include work with the teachers within the nurseries to enable them to continue to develop music education following the completion of the workshops. By introducing musical themes and string instruments in a relaxing and stimulating environment the project is expected to increase the confidence of both the children and the teachers to connect with their own cultures and develop similar projects in the future. North West Women’s Centre, 17-33 Shawpark Street, Glasgow. The Centre provides social, recreational, educational, advice and information services, counselling, therapies, volunteering opportunities and listening drop in sessions twice weekly. The Centre seeks to purchase six new tables and replacement crockery for the Centre, which could be used for events for service users. The new equipment would enable the Centre to market itself as a venue for meetings and events. The Maryhill Netball Club provides netball coaching/games to the Maryhill Community. The Club operates from Maryhill Sports Centre and Maryhill Community Centre. There are currently 26 members aged 8 -13 years, with 60% living in the Maryhill Kelvin ward. The Club is recently established (10 months) and is applying for support towards the purchase of training/match strips. The strips would provide the Club with a local identity and would assist families with the expenditure of providing strips for training and match games. Craft materials, sports Equipment & Trip. The project seeks the cost of arts and craft materials and the delivery of an educational outdoor trip over the Easter period. The BB provides, an Anchor Boys, Junior section & Company section with 35 (5-16yrs) boys attending. Arts and crafts materials will be used by all groups at weekly sessions. An educational outdoor trip is planned for Easter. Maryhill Park was recently selected for an exercise to consider opportunities to develop the park which had potential to deliver significant benefits for local residents. The purpose of the project was to identify opportunities to improve the park based on local opinion and using the skills, knowledge and involvement of the community. 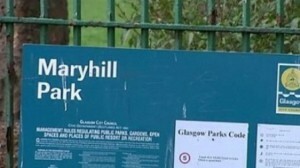 As a result of this approach Glasgow City Council is now seeking to develop proposals to realise the potential of this resource and make a significant contribution to the development of Maryhill Park as an attractive and sustainable park. Following consultation the draft report has identified a series of short term aims including quality entrances, better signage, new lighting, tree and shrub pruning and new planting. The report also highlights the need to upgrade the play area, create new footpaths, and provide educational opportunities for young people in the park. Glasgow Life have stated that the tennis courts are still in demand by some of the local community, and are included as part of Glasgow Life’s Strategic Development Plan for tennis. The report’s recommendations will be considered over the next few months.